8K TV: Is the television upgrade worth your money? The television is the ultimate way to relax after a long day for many. The launch of 8K television sets in the fall of 2018 marks the fourth time in 20 years that the tech industry has promised a better viewing experience through an increase in TV resolution. But will 8K produce a visible improvement? The term 8K refers to a screen resolution of 7,680 pixels across and 4,320 pixels high, compared to 3,840 by 2,160 pixels for today’s 4K ultrahigh-definition (UHD) TVs. There is no 8K programming currently available to consumers, so these TVs convert lower-resolution video to 8K. Meet the star of the show. The #SamsungQLED8K has hit the floor of #SamsungCity at #CES2019. However, experts weren’t even convinced that 4K delivered a noticeable improvement. “When we consider typical viewing habits, the difference between HD and UHD was not perceptible,” says Martin Banks, a professor of vision science at the University of California, Berkeley. “The difference would be perceptible if you sat closer to the screen than viewers typically do.” According to rtings.com, a viewer needs to sit within five feet of an 80-inch TV to see the difference between 4K and 8K. Samsung’s 85-inch QN85Q900, priced at US$15,000 (S$20,325), will likely be the only 8K option that US video enthusiasts can acquire in 2018. It boasts an artificial-intelligence engine that analyzes the content of the picture and optimizes its own settings for best performance. 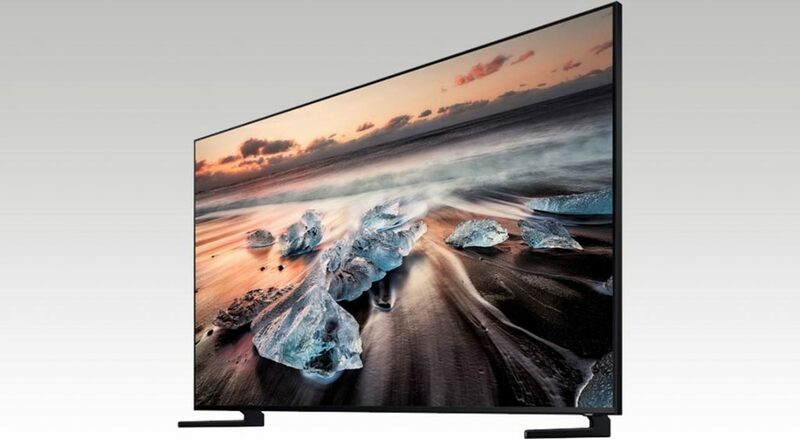 Sharp’s nearly US$11,000 (S$14,905) LV-70X500E 70-inch 8K TV is now available in Asia and Europe; the company says it will offer 60-, 70- and 80-inch models in 2019. TCL recently demonstrated a 75-inch 8K model with Dolby Atmos surround sound. In addition, LG has shown an 88-inch model, and Toshiba a 65-inch, but neither company will predict pricing or availability. Despite questionable benefits and little selection for now, 8K TVs are likely to become standard. After all, 4K now dominates the TV industry, even though experts raised the same questions about it.